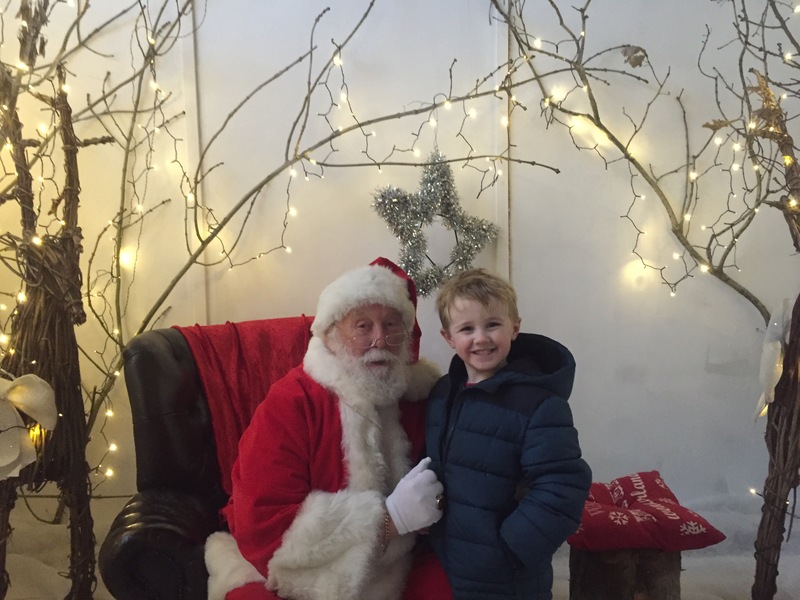 Emanuel Whittaker and a number of its suppliers have been giving a helping hand to Santa at his grotto at Dr. Kershaw’s hospice in Oldham. Every year the hospice hosts a very popular Christmas Extravaganza which raises funds for the hospice and Santa has been known to drop in and say hello. Obviously, he needs his own grotto and Arron Cheshire, Community Fundraiser from Dr Kershaw’s, was concerned it was not up to scratch. 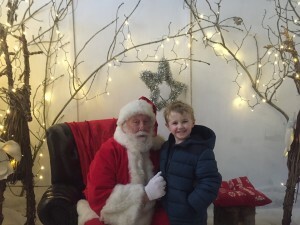 Facilities Manager from Emanuel Whittaker, Phil Peacock was confident that, with the help of other local businesses, Santa could enjoy a more luxurious base while visiting the hospice. Timber was provided by Joseph Parr and Howarth Timber which allowed the Emanuel Whittaker joiners to build walls and a door onto the existing wooden gazebo within the Hospice grounds. Signage to the grotto was provided by Signbox and Bladen Electrical made sure all the electricals were safe to use. Kind volunteers from Dr Kershaws decorated the grotto and made it habitable for Santa to use during his visit. Typically, the great British weather meant further shelter for other stall holders was needed and Arron asked if Phil had any contacts who could provide a marquee. Fortunately, Phil is a Scout Leader and so he put a call out on Facebook to the North West scouting community. The Oldham and District scouts came to the rescue and not only provided the marquee but also enough scouts to erect it and to take it down – saving the hospice around £1000.